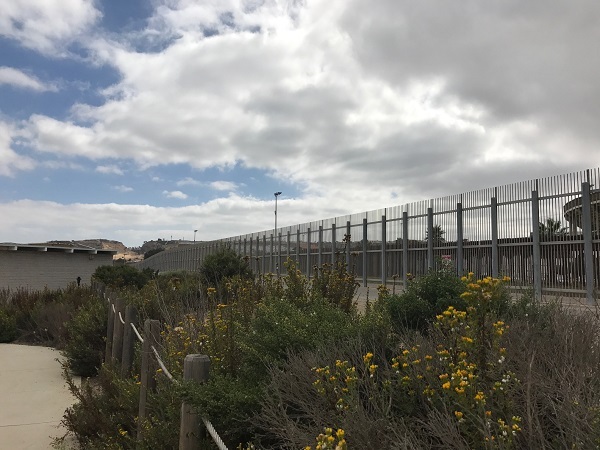 SAN DIEGO (CN) – California Attorney General Xavier Becerra – standing steps from the fence along the U.S.-Mexico border in San Diego – said Wednesday he and the California Coastal Commission have sued the federal government for circumventing state and federal environmental laws in order to speed up construction of the border wall. Becerra sued the federal government in the Southern District of California a day after San Diego’s City Council voted to formally oppose President Donald Trump’s executive order to build a wall along the border, and a week after a handful of environmental groups sued the Trump administration over the same waivers at issue in Wednesday’s lawsuit. The waivers allow the government to skirt 37 federal statutes and state and local environmental laws in order to expedite building the wall. Flanked by local and state representatives including Assemblywoman Lorena Gonzalez-Fletcher, Coastal Commissioner Steve Padilla and San Diego City Councilman David Alvarez, Becerra said if Trump wants to build a wall he needs to follow the rules. “In California, that’s not going to fly,” Becerra said. The 53-page lawsuit calls for an injunction against the federal government to prevent Homeland Security from engaging in any activities related to installing barriers along the U.S.-Mexico border in San Diego and in Imperial County, about 115 miles east of San Diego. 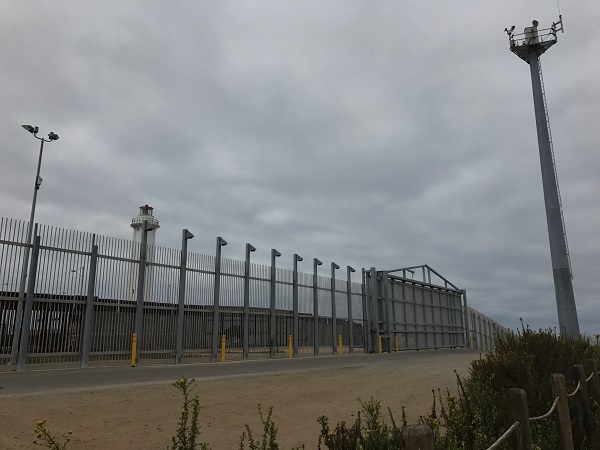 If granted, the injunction would also pause plans to build wall prototypes in the Otay Mesa area of San Diego until the government complies with environmental laws. The prototypes are scheduled to be built sometime this fall. Becerra also seeks a declaration that the waivers are invalid based on his contention Homeland Security officials acted beyond the scope of their authority in issuing the waivers. He said the proposed projects do not call for installing “additional” fencing in areas of high illegal entry, a condition of executing waiver authority. Unauthorized entries along the Southwest border and in San Diego are significantly lower compared to the early 2000s and even all the way back to the 1970s, Becerra says, calling Trump’s rhetoric of a “recent surge of illegal immigration” inaccurate. 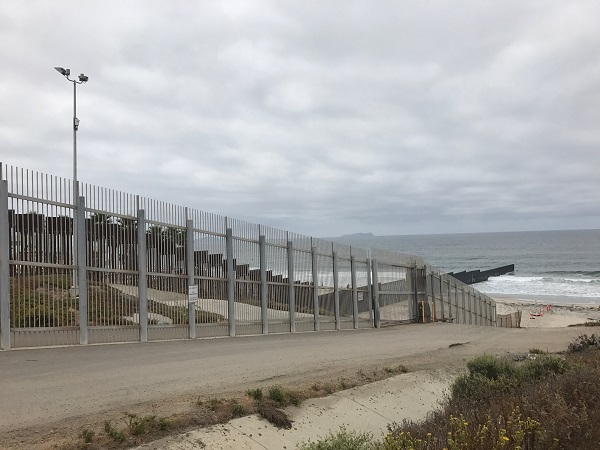 Constructing the border wall will negatively impact California’s publicly owned lands such as Border Field State Park and the Tijuana River National Estuarine Research Reserve, have a “chilling effect” on California tourism from Mexico and will damage other cultural, historical and recreational resources, according to the lawsuit. The attorney general also says ramped-up efforts in the 1990s and early 2000s to curb unauthorized crossings in San Diego by building additional fencing and a solid wall jutting into the Pacific Ocean has “resulted in the destruction of sensitive upland and wetland habitats, the taking of endangered plant and animal species, the spread of invasive plant species, and the increase in sedimentation within Border Field State Park and the Tijuana reserve.” The 14-mile project was completed after a 2005 waiver to ignore state and federal environmental laws. Homeland Security has already started grading and widening dirt roads along the border, even though it has failed to comply with federal environmental laws, according to the lawsuit. The California Coastal Commission voted in closed session at their August meeting to ask Becerra to file the lawsuit on their behalf. 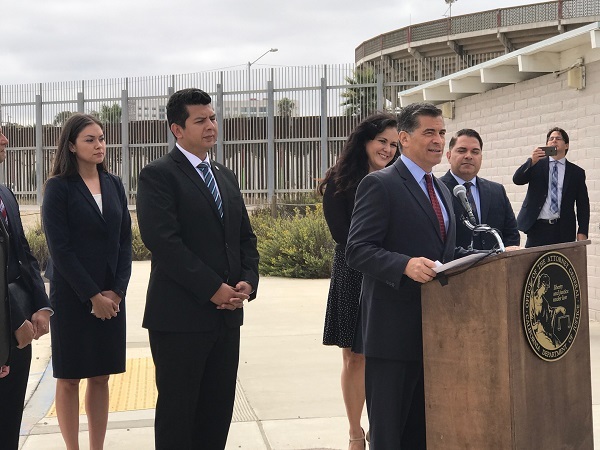 While several other lawsuits challenge the anticipated environmental degradation of building the border wall, Becerra said this lawsuit is the only one which represents 40 million Californians. Commissioner Padilla told Courthouse News the Coastal Commission wanted to act to enforce the Coastal Act and other coastal protections in California because they “could see [environmental consequences] coming” and want to maintain the state’s legacy of environmental protections which go beyond those required by federal statutes. “If you’re going to be in California and talk about the rule of law, you better damn well make sure you protect some of our most precious assets in following that law,” Padilla said.